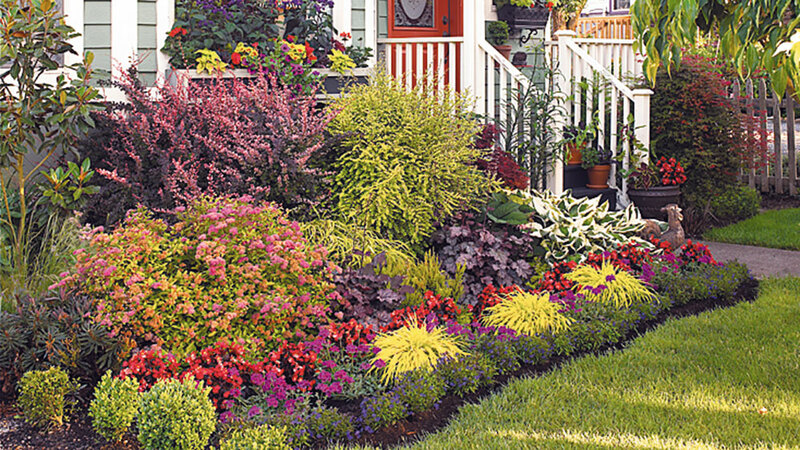 There’s no better way to greet guests than with a vibrant front yard. 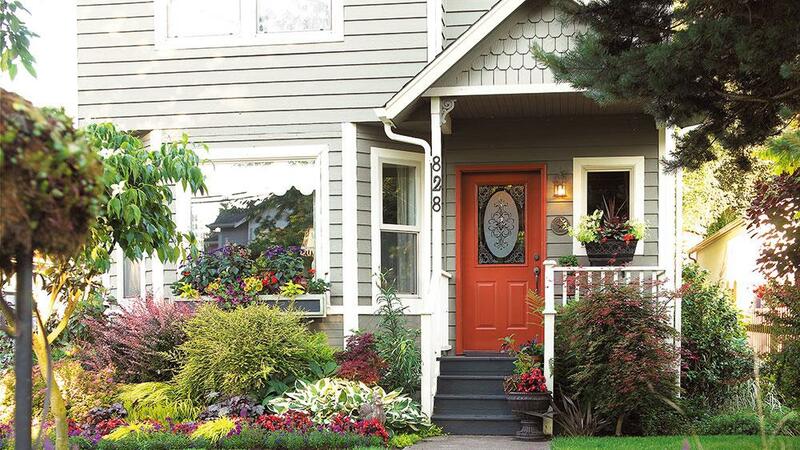 Adding bright blooms and lush foliage around a front door not only improves the look of the house, but adds color and energy to the front landscape. It seems to say, “This is more than a house. This is a home.” And with just a little time and a bit of creativity, you can make your entry as warm and inviting as the one you see here. Most houses, no matter how beautiful they are, have a lot of hard, straight lines. But a foundation bed can soften those hard lines and draw guests’ eyes up from the ground toward the home. Make conservative choices for the front of your home — the idea is to complement your house’s beauty, not distract from it. Here, a few understated shrubs fill in the back of the border, while begonias, petunias and hakonechloa mix along the front. 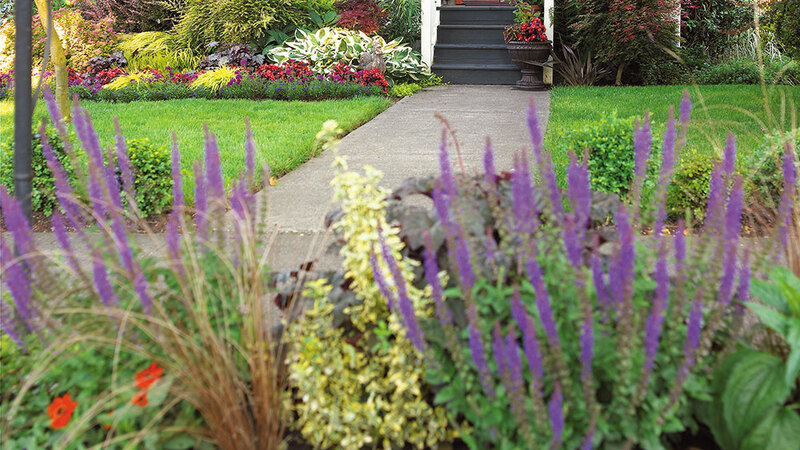 Repeated bold plants add color to the border while still looking elegant. 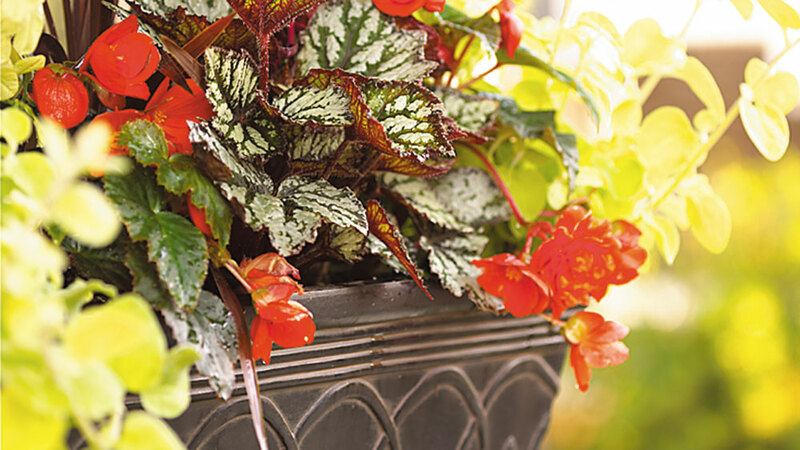 Brighten up windows with these small containers. They add interest to a blank space, and they help tie your garden to your home. Choose plants that echo the colors of your front door and siding for a coordinated look, or go bold with contrasting colors. As with any other container, be sure to keep your window box well-watered. Foundation beds are the perfect spots for small shrubs, like spirea and barberry, and low-growing annuals and perennials. But choose your plants carefully. You don’t want tall plants that will grow in front of your windows and block the view. And look for plants that are drought-tolerant — adding a lot of moisture along the foundation can lead to mildew and water damage. Plant shrubs so they’re at least 1 ft. away from the house at maturity. This will give them plenty of air circulation and help prevent fungal diseases.